Deepawali or Diwali 2017 starts on 19 October and continues for five days. It is the biggest and the brightest of all Hindu festivals and is also known as The Festival of Lights. 'Deep' meaning 'light' and avali meaning 'a row' - a row of lights. Diwali for Hindus is a sacred and joyous time of the year, marked by five days of celebration illuminating the country with its brilliance and dazzling all with its joy. Diwali commemorates the return of Lord Rama from his fourteen-year-long exile and the vanquishing of the demon-king Ravana. In celebration of the return of their king, the people illuminated the kingdom with earthen diyas (oil lamps) and burst crackers. Diwali signifies the conquest of evil by good and is all about giving, forgiving, bringing light to darkness and unifying us with our fellow beings. For most Hindus in the UK, it is still THE festival. As important as Christmas is for Christians. Diwali is a time to be with family and friends, have good food, wear new clothes, exchange presents and cards, say prayers and most of all enjoy being with your loved ones. Here at Plain Talking HR we celebrated Diwali with some delicious Nankathai baked especially for us by Zaibun from Creative Bakes in Luton. 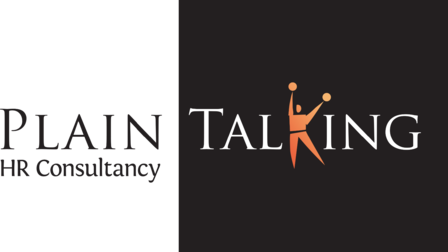 For all your HR advice and support whether in Luton or anywhere in the UK, look no further than Plain Talking HR.